Yesterday, I read a blog post "Dear Future Architects: Don't Be Like Me". I enjoyed the self reflection the author had about a particular situation where he was designing a fast-food restaurant...not say the Guggenheim Museum and was a little less than enthused. He wrote “Bojangles? Are we really doing a Bojangles? Is there someone else who can work on this? I’m not working on that,”. The cool thing is he realized his mistake and categorized them into several things. He summarized them into these four categories; saying "no", sometimes you have to choke down the vegetables, he missed an opportunity, and he wasn't grateful. There was some real self-reflection there. THEN I read several comments like "designing for a unhealthy food chain", "follow your dreams", "unethical to design a fast-food...", he had "principles". So I thought I would provide a small reality check to those new comers in the industry and by the way, I am not an architect, but do work with many in the high-end residential industry. We all have to start somewhere. Turn down work when you're getting started and you'll be doing sidewalk art beside your shopping cart. Just because you have an extremely high opinion of yourself and talents doesn't mean I'm supposed to also. We all see art differently...same with architecture. You can't eat dreams...or maybe the architecture unicorn will take care of your bills while you refuse to design an "unhealthy" food-chain. Take a real hard look around at the work being done today and understand you may never design a project that has any significant relevance. This doesn't mean not to try, but it is the reality. It's just a JOB, be thankful you can make a living doing what you love. That said, challenge yourself, strive to create great design, want to be recognized...then go to work. Well done Stephen Ramos, architect! Recently in Dallas, I find the majority of projects I'm designing "on the boards" are modern or contemporary. The project above from M-Gray Architects I recently completed and also have two more currently under construction for him. So, with an upcoming trip to Connecticut for phase #2 of a wonderful landscape lighting project at Maywood Gardens,(classic architecture at its' finest) I thought I'd take a look at some of the modern architecture in the area. No oil..."we don't need no stinking oil." I'd say it's been a pretty good year for my peeps back home in North Dakota. The NDSU Bison won the FCS Football Championship...again, the UND Fighting Sioux won the NCAA Hockey Championship, Carson Wentz could/should go #1 in the NFL draft tomorrow evening, and now the St. Wenceslaus Church in Dickinson, ND wins the best Commercial Stone Design at the CID Awards. There's just no stopping us! A bit on the CID awards from their website "The CID Awards celebrate outstanding achievements in the design and installation of tile and stone in both residential and commercial projects. Submissions for the 2016 Coverings Installation & Design (CID) Awards are open to architects, designers, builders, contractors, distributors, retailers, installers and other professionals who demonstrate design and/or installation excellence in residential and commercial projects, giving special recognition to stunning stone and tile. Regardless of who submits the entry, awards will only be given to the project architect/designer or installer within the designated award category." firms must be from North America - firms outside North America are eligible for awards in the international category." "Projects will be judged and awarded based on technical installation and design, as well as international design and sustainable design. Projects will be judged on their levels of creativity, craftsmanship, and outstanding use of materials and achievement in the use of tile or stone within the residential and commercial project categories. Of particular interest are projects that demonstrate an original or unusual use of materials, incorporate an innovative technology, reflect installation excellence or successfully combine aesthetics with function in a unique and interesting way." There's something about being from a small town and even something more if you're from a small town in North Dakota. We take great pride in North Dakota success...maybe because we know what it takes for anyone to think about us or maybe it's because feel like we know everyone in the state. I know the boys and I have celebrated with many of our North Dakota brothers and sisters! Also, statewide, I think we hold each other accountable for our actions as well. Could you imagine if Carson Wentz ends up on TMZ like Johnny Manziel? His parents, brother, coaches, teammates, friends, neighbors, or anyone else who claims North Dakota as home would put a stop to it pretty quickly...we won't allow anyone to drag our good name through the mud! Anyways, congratulations to the design team at Creative Edge Master Shop in Fairfield, IA, but this moment is ours, the few, the proud, the North Dakotans. "We ride together, we die together, bad boys for life." The Bad Boys series with Will Smith and Martin Lawrence is releasing Bad Boys 3 in June and I thought I'd take a look back at a project I designed in Miami, Fl called Vizcaya Museum and Gardens. Why you may ask? The Miami mansion in Bad Boys II was Johnny Tapia's, played by Jordi Molla, and was featured in the rat scene...I apologize if you don't know the rat scene but you'll have to google it, I have to keep it clean in here. 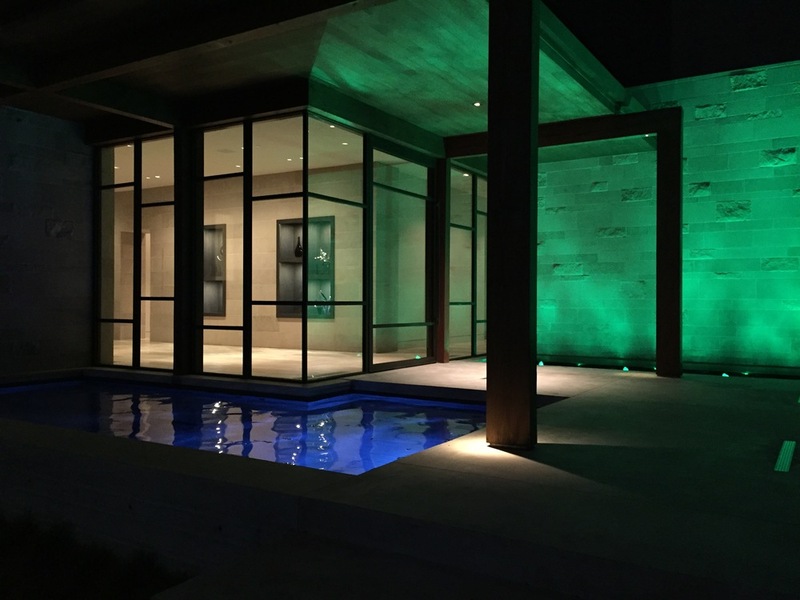 They were doing an extensive remodel and I did the lighting design for the pool and front entrance for Richard Heisenbottle of RJHA Architects, who just so happens to be a rock-star in historic preservation! Vizcaya is a National Historic Landmark and a top attraction if you're visiting Miami. Guests have included Pope John Paul II, President Reagan, Bill Clinton, Queen Elizabeth II, and King Juan Carlos while some furnishings relate back to Napoleon and Marie Antoinette. It's been named as the finest house ever built in the United States and the gardens are absolutely breathtaking. Visit the website for Vizcaya here and be sure to take time to enjoy the gardens the next time you are in Miami. E2 Illumination Designs is a design-build landscape lighting and architectural lighting firm for fine estates throughout the country. Contact us if you demand the very best in outdoor lighting for your home and gardens.